Fifty-two students were inducted into the McNicholas Altiora Chapter of National Honor Society in an all-school ceremony on Nov. 9. These students joined the 37 current members. Class of 2005 graduate Christa Hyson returned as the guest speaker for the event. 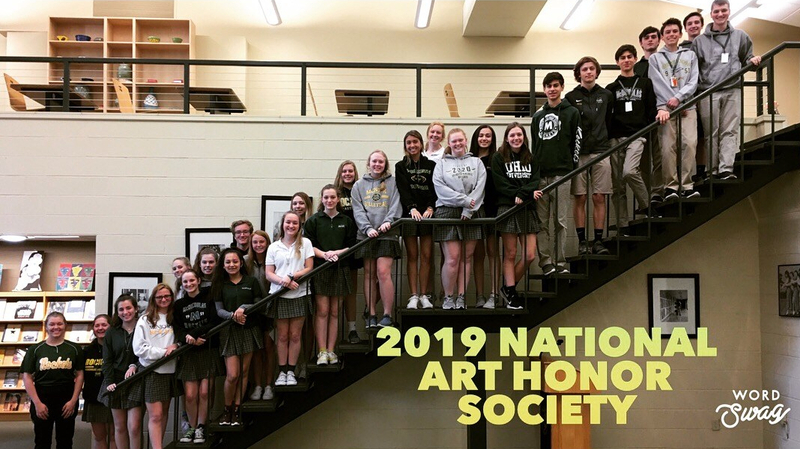 National Honor Society is an organization that recognizes students with grade point averages of at least 90% and who excel in the four pillars of NHS: scholarship, leadership, service, and character. At the ceremony, new inductees say the NHS pledge, sign the NHS book, receive a certificate of achievement, and light a candle to represent the four pillars of achievement. Potential new members are notified that they may qualify for membership and then are required to complete an application. The process includes essays and application reviews from an anonymous panel of teachers who decide which students exemplify the four pillars of NHS and deserve to be inducted. There is no minimum or maximum number of students that have to be inducted. Therefore, the aspect of competition between students is less prevalent, and a student’s personal accomplishments are stressed. Once inducted, students must maintain a 90% overall average, participate in service projects, attend meetings , assist in tutoring on Mondays and Wednesdays throughout the year, and maintain great character. “[NHS] is motivation to always be the best version of yourself and a great opportunity to represent you and McNick,” said senior and NHS officer Jillian Tore. In her message to the student body of McNick, Hyson focused on the importance of character, and how even when one has nothing, they still have their character. Senior NHS officer Olivia Tore agreed and said, “[Character] fosters a concern for the community. During the Nov. 9 NHS induction ceremony, inductees light candles to represent the four pillars of the National Honor Society: scholarship, leadership, service, and character.